Climate change is a behemoth we must not ignore, and its veracity should not be contested. 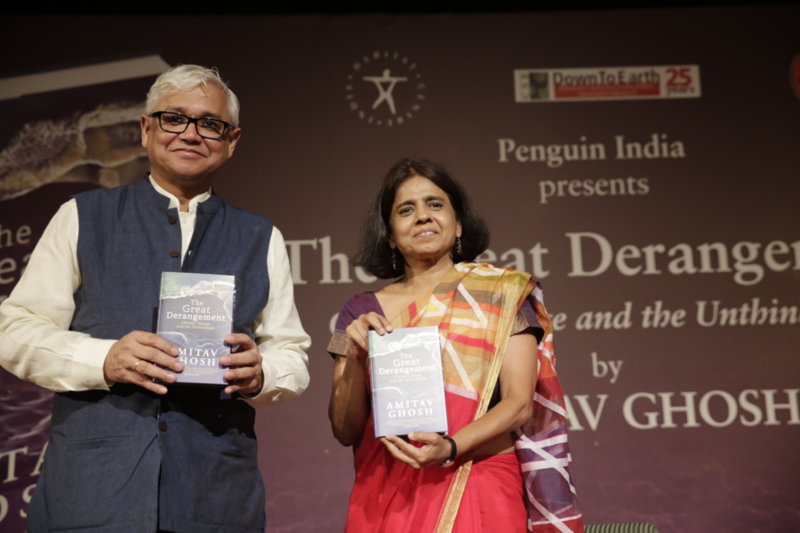 This was the premise of the discussion between Sunita Narain, director of Centre for Science and Environment, and Amitav Ghosh at the release of the author’s new book, The Great Derangement, at India Habitat Centre on July 19. Taking a cue from Ghosh’s book, Narain said that despite experiencing the impacts of climate change all around us, how do we manage to look the other way? 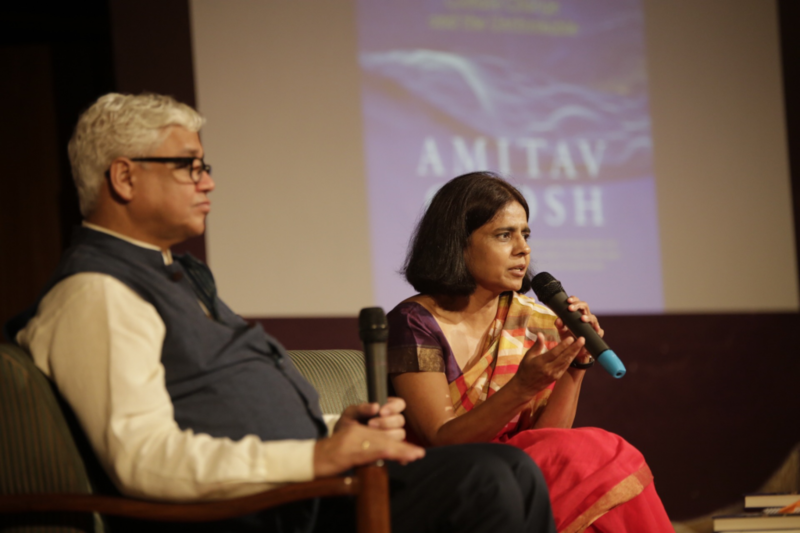 Pointing out that dealing with climate issues is considered a fringe activity, Ghosh observed that contemporary literature is also not talking about climate change. “There's complete silence in imaginative discourse when it comes to climate change issues,” said the author. Agreeing with Ghosh’s observation on how we have systematically turned away from discussing climate change impacts, Narain said, “We are beginning to close the circles of conversations on climate change. This is the kind of intolerance we are seeing these days.” While talking about the failure of Paris Climate talks, which moved away from climate justice issue, Ghosh argued that there is a “systematic silencing of non-partisan voices” on this issue. Delving into the challenges that India faces globally, Narain said that the voice of India and other developing countries is not yet strong enough to influence the global discourse on climate change issue. “Today, we are powerless because we are not asking our leaders to take action,” she said. During the Q&A, some important ideas were exchanged in the realm of climate change education in schools. In reply to whether climate change can find a mention in the electoral politics of India, Narain said that government has started responding to the agitation of farmers who are affected by extreme weather events and this is just the beginning.